cow crossing, originally uploaded by jahansell. Make way for cows! 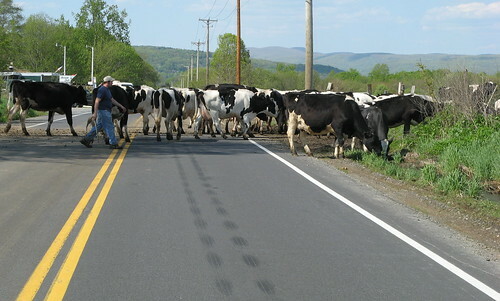 If you cross Route 22, south of MIllerton, at about 3:45 pm, be prepared to stop for the cow crossing!